THE BEST OF HAMPTON HALL! 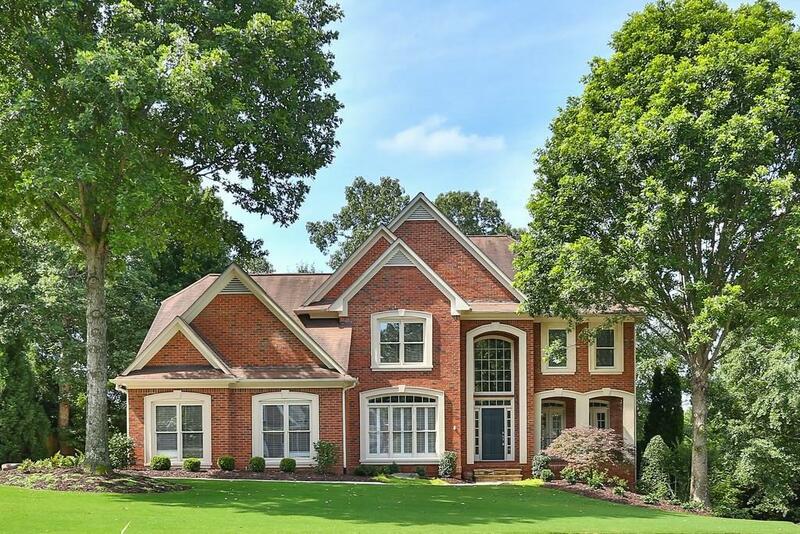 Executive John Wieland brick home on one of the best cul-de-sac streets in Hampton Hall! Stunning refinished hardwoods, fresh paint, inside and out. open floor plan, new carpet, Updated gourmet kitchen with new SS Appliances, Fabulous deck overlooks prvt 1/2 acre fenced in backyard, with professional landscape and flagstone patio, Upgraded trim/crown modeling, newer systems, oversized master suite, w/ extra room/space for exercise room/dressing room/unlimited options! Finished daylight terrace level w/ 2 bdrms, full bath and full kitchen.